In the shadows of the Anthony Davis spotlight, the New York Knicks sent out franchise center-piece Kristaps Porzingis to the Dallas Mavericks. In return, they received a package built around Dennis Smith Jr. and future cap space. What are your initial thoughts on the deal? Buford: I think it was a good deal for both sides. 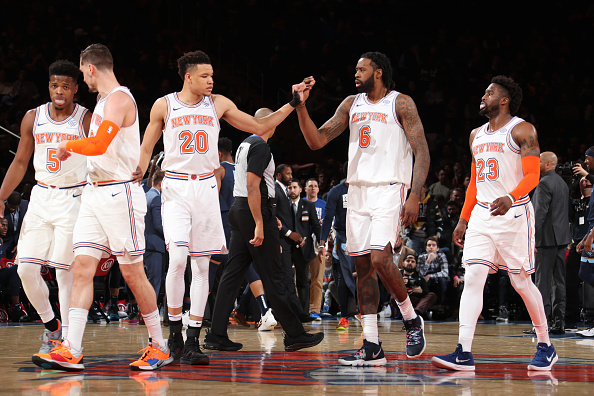 The Knicks will have the opportunity to try to sign two max players to build around their young core of Knox, Smith Jr, Trier and Vonleh this offseason. Smith is going to turn some heads in New York if they keep him. As for the Mavericks, if Porzingis can come back healthy next season, he would be an excellent replacement for Dirk when he decides to retire. Butler: Since the Knicks made this deal with the hope of it serving as a conduit to land two marquee free agents this summer, it would be unfair for us to grade them until we see what actually unfolds in July. Months from now we could be looking at the Knicks flipping KP into Kevin Durant and Kyrie Irving and that would obviously warrant high praise, thrusting them into the title contention conversation. But if they strike out in free agency, the trade was a failure. Though there’s some concern about how KP will respond to the most significant injury of his young career, he was the centerpiece piece of this rebuild. The last time we saw him healthy, he was an All-Star. Attaching your best asset to a deal to clear cap space is already a peculiar but doing so and not even landing desirable free agents? That’s front office malpractice. It’s also worth point out that had the Knicks not ineptly given Tim Hardaway Jr. that ridiculous contract, they wouldn’t be in this position to begin with. For the Mavs, this was a solid move and well worth the risk. Luka Doncic and KP can become such a deadly and entertaining tandem. They both present unique individual skill sets that make you marvel at their respective games. Playing together could create something special. In route to becoming an All-Star last season, Porzingis had been compared to Dirk Nowitzki. So, joining Dallas is fitting and almost poetic. Kozai: Like most people, I initially thought the Knicks had completely botched the deal, which would be nothing new for them. But as more details of the trade came out, it started to seem somewhat reasonable for them. Porzingis was clearly unhappy in New York, and even if the team could’ve called his bluff and offered him the max in restricted free agency—which no player coming off a rookie deal has ever turned down—a disgruntled star still doesn’t bode well for the future. The two first-round picks and Smith are at least a decent haul. More importantly, New York cleared enough cap space to sign two max free agents this summer. The deal will prove a success for the Knicks only if they can lure multiple stars in free agency. 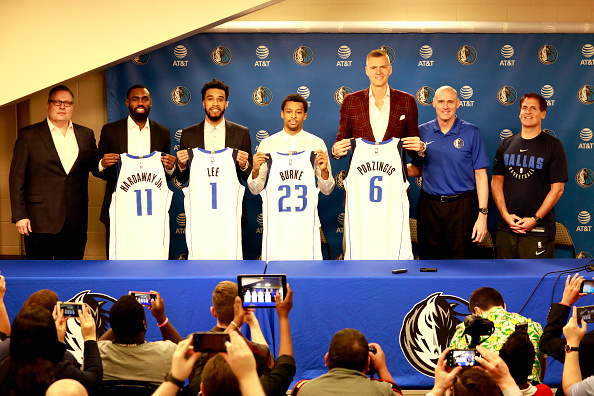 For the Mavs, the deal is a smart gamble. Dallas is betting that Porzingis will recover from his ACL injury and become the player that he seemed to be developing into pre-injury. With a shaky history in the draft and free agency, this was the Mavs’ quickest and easiest way to acquire a second young star to pair with Luka Doncic. The trade makes sense for them no matter how you spin it. Pfeifer: This trade represents a calculated risk for both teams involved. Although at first, this deal can seem to greatly favor Dallas. Getting the best player in the deal without giving anything too major up is usually fantastic. But at 7-3 and with his prior ACL injury, Porzingis is a walking injury waiting to happen. If things go well, the Mavs have themselves a true third or even second-best player on a championship team caliber player (with Luka undoubtedly being a future number one). But if Porzingis flops, Dallas lost two first round picks and have filled their cap sheet until at least 2021. This deal is a clear indication that Mark Cuban has no interest in a traditional rebuild. Acquiring Porzingis comes with obvious and significant upside. But the fact that Cuban has the same amount of patience as a blind squirrel on acid could hurt Dallas in the long term, wasting valuable years of Luka’s control. For New York, this trade is a clear signal that they are confident in their ability to attract high-profile free agents. They believe one or two of Kevin Durant, Kyrie Irving, Kawhi Leonard, Jimmy Butler and more will be donning the blue and orange in 2019-20. You don’t use future top 20 players to clean the books: that is what draft picks are for. Betting on a market like New York to bring in talent is always reasonable, but the pure incompetence of the organization must wave red flags to superstars. Yes, the destination is a serene island paradise, but you may not want to drink the water here. I am not high on any of the players New York received in the deal (they should cut Jordan and Matthews, really) but them and the picks could be useful in a future trade. Simpson: As a Mavericks fan, the “pie-in-the-sky” dream of creating cap space to lure free agents has been a perpetual nightmare since 2011-12 and seeing the Knicks potentially fall victim to that is so ironic. The pairing of Luka and KP makes the Mavs an easy winner, right now. Also, the addition of Tim Hardaway Jr. is not something to ignore either; he’s been a bonafide scorer this season. However, if the Knicks can land two max players this offseason, a top-3 pick and flip that future Mavs draft asset into another player, then the Knicks are the true winners. With Anthony Davis being the big fish on the market, what would you do if you were the Pelicans? Would you give in to the Lakers and accommodate Davis’ wishes, or hold off until summer and hope for a better package? Simpson: The ultimate litmus test for this scenario would be witnessing what happens with Kawhi Leonard this offseason in Toronto. If he stays, it was worth the risk. If he leaves, then you start a rebuild. I think that scenario greatly impacts AD’s landing spot and New Orleans’ leverage, because every other team, aside from L.A., will look at that Toronto situation to assess trading for Davis. Davis’ father has already gone on the record to state that he wouldn’t want his son to play for Boston. If that’s true, it’s tough to see Boston making a move for Davis. Seems like its Los Angeles and nobody else at the moment. It’s best for New Orleans to get as much as they can now. The more you wait, the more value you lose in these scenarios. Buford: If I were the Pelicans, I would see what the best package the Lakers are willing to offer is and if you cannot agree on a trade package then wait until the summer and engage with Boston. Davis has already said he feels he has given the city of New Orleans all that he can give, and it would be better to move him at the deadline than have him waste another year. 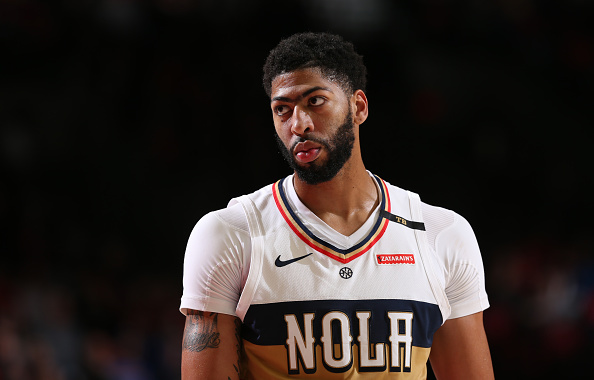 Butler: The Pelicans should absolutely hold off on trading Anthony Davis. This is a generational talent. Rushing into a deal leaves you vulnerable and susceptible to screwing it up. While the Lakers’ offer is a compelling one and aligns with what the Pels are looking for, it behooves them to wait until the Celtics can join the sweepstakes. They figure to have the most to offer. 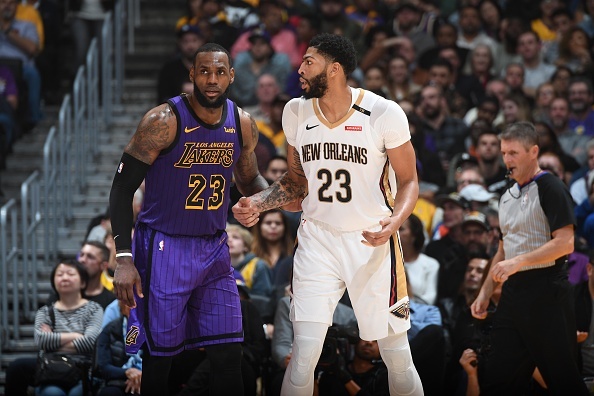 Magic Johnson and Rob Pelinka will have to be meticulous in instilling a level of fear that would pressure New Orleans into making this deal now. And ultimately the Pelicans will have to decide if it’s worth keeping a disgruntled star for the rest of the season amidst what has now become an awkward situation. But the reality is the deal LA has on the table now will still be there this summer along with whatever Ainge has to offer. The Celtics are the best team in the East and I have them getting to the NBA Finals. If I’m to believe AD prioritizing winning over all else, why wouldn’t you want to sign there long term? If Durant leaves the Warriors, it’s opens the door for the other 29 teams. AD joining a team that might go to the Finals (though they’d obviously have to trade away some integral parts) makes too much sense for all parties. Kozai: I’d wait until the summer. While Boston’s potential package may not be as good as promised, it should still beat the Lakers’ offer. The Celtics have four first-round picks in this year’s draft to offer, I think Jaylen Brown is a better young player than any of the Lakers’ core (including Brandon Ingram), and I still believe in Terry Rozier despite his awful shooting. If Jayson Tatum is in the deal, it becomes a no-brainer. 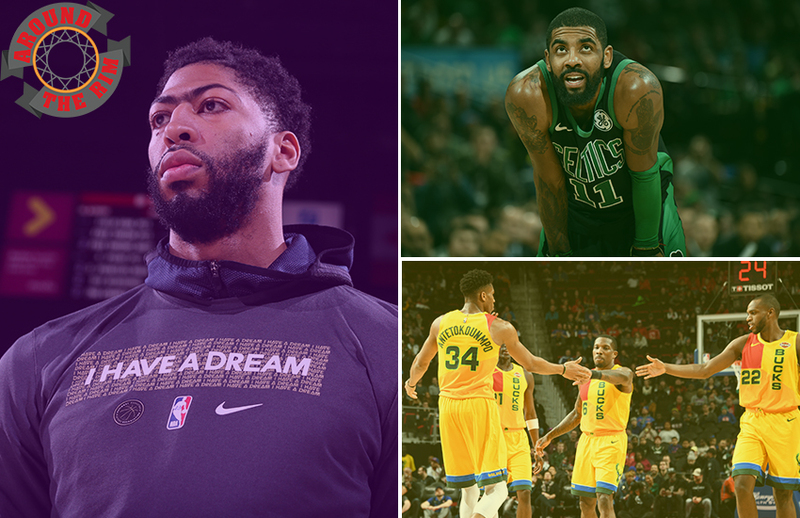 And even if it’s not Boston—multiple reports indicate that Davis wouldn’t re-sign with the Celtics in 2020—there should be some other team willing to risk an all-in year with Davis going into next season. It seems other teams have already reached out to New Orleans, even if it’s hard to trust some reports because of the motives of whoever leaks any information. We’ve already seen Oklahoma City and Toronto take the one-year risk with Paul George and Kawhi Leonard, respectively, so it’s not hard to imagine another team emerging when the time comes. The Pelicans have no reason to rush this crucial decision. Pfeifer: Saying that taking the Lakers offer would be playing with fire is an understatement. Trading a top-5 player in the NBA for LA’s young core is playing catch with molten lava. Even if the offer isn’t neutered like LA would hope it to be, the return will be insufficient at best. 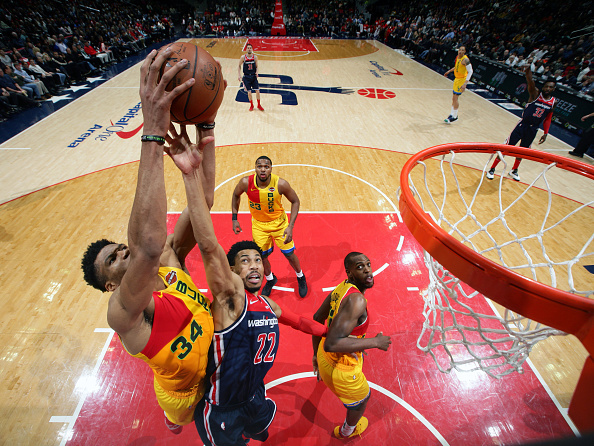 The Pels likely don’t want to go full tank mode and risk an NBA franchise returning to Seattle. And in that case, Lonzo Ball, Kyle Kuzma and Brandon Ingram won’t move the needle enough. Ingram is solid and will be a solid NBA player but will probably never ascend to all-star heights. Kuzma is a bonafide scorer but doesn’t add much value elsewhere. I am a Lonzo Ball truther and believe he could be an effective player in the right situation. He has rare, elite traits that are begging to be optimized. New Orleans is not the right place for him, though (neither would Phoenix, Chicago or any of his other supposed preferred destinations, to be fair). If I am New Orleans, I block Magic Johnson’s phone number like his name is Skip. I wouldn’t count out the possibility of a surprise team entering the sweeps, similar to the Kawhi Leonard debacle. Kyrie Irving stirred the pot with some pregame comments in New York recently. Among them, Irving said, “I don’t owe anybody s***.” Where do you think he’s playing a year from now? Pfeifer: Kyrie Irving is a weird dude. He probably wants to send his enemies plummeting off the side of the Earth into a vacuous void. As a cocky young star, he desperately wanted to leave LeBron’s gargantuan shadow. But once he learned how tough it was to be the one producing that shadow covering other cocky young stars, he desperately wants to return to LeBron’s still massive shadow. What gives? At this point, I give zero stock to anything Irving says at this point. There’s still plenty of NBA basketball to go and the Celtics could easily be in the NBA Finals come summertime. Come July, Irving will have multiple attractive options on the table, from the glitz of Hollywood to the mystical aura of the Garden. My gut tells me he comes to his sense and remains in Boston, though. Boston sports teams are winning championships at a faster rate than the Cavaliers are winning games. With Golden State’s dynasty waning, the Celtics could join that party. Kyrie Irving has taken a sizable leap, adding serviceable defense and much-improved playmaking to his already lethal scoring barrage. Add in another year of development for Tatum and Brown and a potential trade make staying home the best option for Kyrie. Simpson: As much as everyone wants to peg Kyrie Irving to the New York Knicks this offseason, I’m just not buying it. Also, this situation reeks of Kyrie wanting a max extension and the Celtics possibly not offering the full-level. That’s what causes friction between players and organization. We love to think it’s the crazy interpersonal relationships that cause issues, but nah, it’s money. Nothing more, nothing less. So, let’s say Kyrie is out. I don’t buy the idea of him going to the Knicks like I mentioned before, because I think Kevin Durant plays one more season in Golden State to unveil the Chase Center. 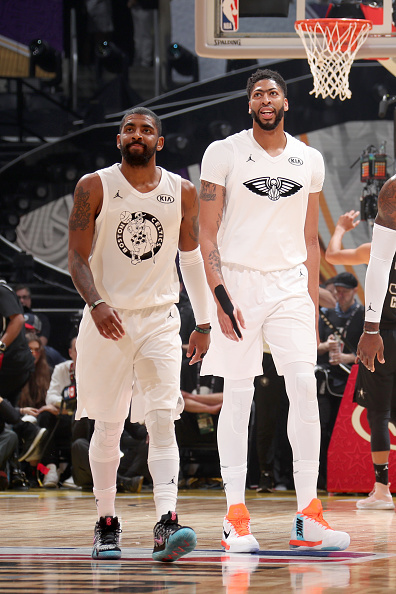 But the idea of Kyrie re-uniting with LeBron in Los Angeles along with potentially Anthony Davis in the fold sounds too good to pass up. Buford: I feel the Celtics cannot trade for Davis; Kyrie will sign with the Knicks a year from now. He is from New Jersey, and he can play in front of his family and friends 41 games a year. I think Kyrie holds the cards and can influence the situation too heavily here. Butler: This feels like a power play from Kyrie Irving, who’s fully aware that Danny Ainge has trepidation about paying him the money he wants. But if Boston does get to the Finals on the strength of Kyrie continuing to be as great as he’s been, the Celtics need to pay him. He’s playing some of his best basketball posting career highs in assists (7.0), rebounds (4.9), steals (1.7) and field-goal percentage (50 percent). He’s also had just one season where he shot a better percentage from three (currently at 40 percent). Having one of the best point guards in the NBA in his prime with championship pedigree and experience is too much of a luxury for Boston to pass up. And there aren’t too many people you trust more in crunch time than Uncle Drew. I think after the Celtics lose to the Warriors in the Finals, he will sign a max contract to stay in remain in green. 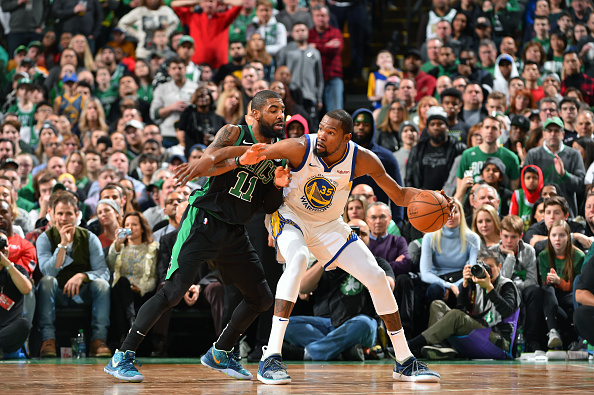 Kozai: This is kind of a cop out, but I think that depends on how the Celtics fare during the 2019 playoffs. Right now, I think even Irving himself probably hasn’t decided where he wants to play next year. If the Celtics continue trending upward—they’ve won 9 of their last 10 games—then they might end up where they were projected to be coming into this season. If they make the Finals, or at least the Conference Finals, Boston will be able to retain Irving this July. 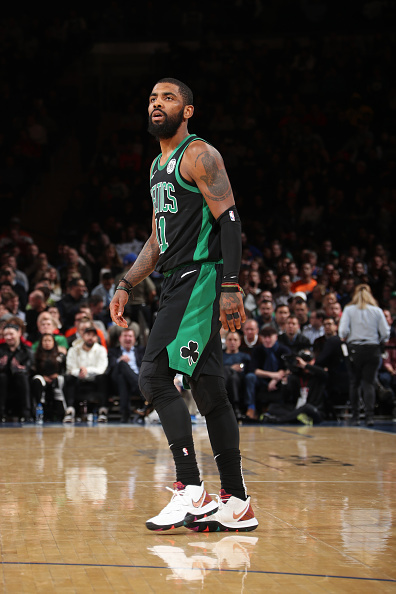 But if they fall apart or simply lose to a better team in the second round, it’s going to be tough to make a case to Irving that the chance to win in Boston is that much better than the other perks that come with playing in New York City. We’re talking about a guy who said that he’ll be “off the grid in a self-sustaining community” in 20 or 30 years. It’s practically impossible to know what his next move will be. One way or another, I don’t think Irving ends up anywhere other than Boston or New York next season. The race for Zion Williamson is heating up. The Knicks have lost 13 straight, the Suns have lost 12 in a row and the Cavaliers and Bulls are just 1-2 games “behind.” Which of those four teams is most in need of the No. 1 overall pick and which of those four offers Williamson the best opportunity? Kozai: The Knicks most need the pick, but the Suns offer Williamson the best opportunity. Cleveland has already had plenty of chances at the top pick, as well as four consecutive Finals runs. Chicago has had a tough few years, but the team made the playoffs just three seasons ago, and the Lauri Markkanen-Wendell Carter Jr. frontcourt is a nice start. 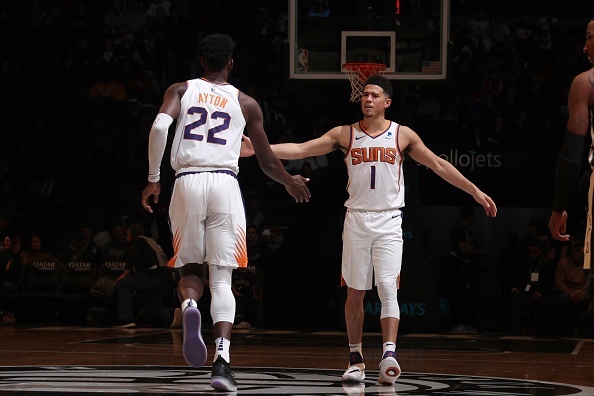 Phoenix needs the pick, but the Suns already have a nice tandem in Devin Booker and DeAndre Ayton. The team that needs the pick most is the Knicks. Somehow, New York has only won one playoff series in the past 19 seasons, despite the allure of the city, Madison Square Garden, and the team’s efforts to clear out cap space numerous times. The Knicks need the chance to draft a superstar. In terms of the best fit, Phoenix would be the most fun team for Williamson. 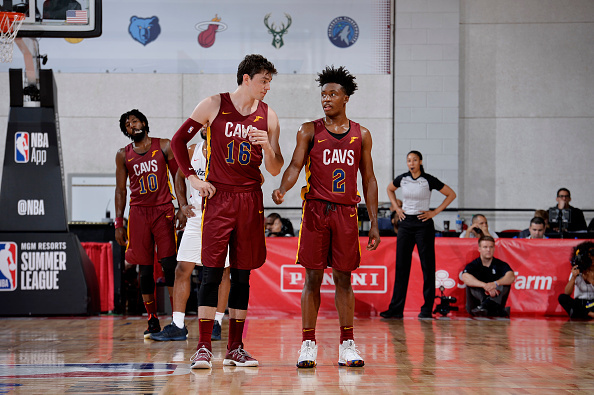 Cleveland and New York are so dysfunctional that it would be tough to see Williamson stuck there, while Chicago’s frontcourt is already occupied by Markkanen and Carter. The Suns still need a point guard, but it would be a dream to watch Booker run pick-and-rolls with Williamson flying to the hoop for lobs. Ayton and Williamson would also make for a strong, hard-nosed frontcourt that could bully opposing teams from the start. Pfeifer: Starting this question off with an admittedly unnecessary tangent. Thank freaking god we aren’t going to have bloody debates about who the No. 1 pick should be this summer. Zion could catch a two-year suspension for god knows what and still be a lock to go No. 1 (I hope, at least). Getting to the question, Cleveland is the team that needs Zion the most. New York has oodles of money and a big market. Phoenix, despite its incessant incompetence, has quite a bit of promising youth. The Bulls could definitely benefit from Zion’s services, but they aren’t nearly as talent-deprived as Cleveland. In trading away Rodney Hood, the Cavs are pulling out the heavy artillery. Cleveland losing LeBron a year before drafting the best prospect since LeBron would be a Dickensian occurrence. Williamson with a jump shot is the future best player in the NBA and I have little doubt about that. Zion in Cleveland would rejuvenate a wholly dead franchise, injecting promise into the veins of Ohio. In terms of the team which is best for Zion, none of the aforementioned four are very attractive. As much as I want to gush over the premise of a Zion-Trae Young pick-and-roll or a Zion-Jaren Jackson Jr. frontcourt, that would be cheating (oops, I did it anyway). Sticking with the four lovable losers: the Cavaliers have just as much talent as Duke (only kidding (ok maybe I’m not kidding)), the Bulls are stuck with Jim Boylen and the Suns haven’t won a playoff series since Zion was 360-windmill dunking on the Little Tykes hoop in daycare. I’ll go with the Knicks as the best of the worse, although you could convince me Phoenix would be better. The opportunity to play with a star and win games early in his career would help him avoid Devin Booker Syndrome and ready him to transition into a primary role. Simpson: The team with the biggest need of the No. 1 overall pick is the New York Knicks. It’s obvious that their blueprint for the next half decade includes two max players this summer and hopefully Zion Williamson. 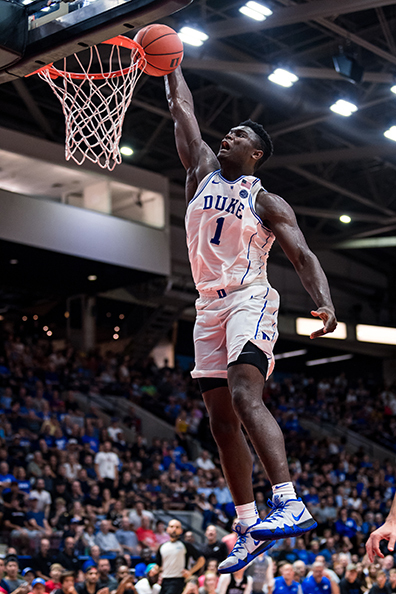 However, the best “fit” for Zion would be the Phoenix Suns, in my opinion. The versatility that squad could present would be nightmarish to defend. They could revolutionize small-ball with Zion at the four or five; or even dominate the boards with both Zion and Ayton. Not to mention, Devin Booker is a walking bucket and the idea of inking Terry Rozier to a quality offer sheet this summer could make for a solid starting five out West. Buford: This is a tough one because I could see him going to both the Knicks and Suns. Let’s start with the Knicks, he would be a great addition to the piece that they already have in place. I think him and Smith Jr. could be a great one-two punch in New York. Meanwhile, the Suns, if they could get Lonzo Ball to run the point guard position, a healthy Devin Booker and Zion at the small forward position that could be an exciting perimeter front for the Suns. So I would say it is a tossup. Butler: The Cavs are in most need of Zion. They couldn’t even attract free agents while LeBron was there, so we know the only chance they have of acquiring talent right now is via the draft. They don’t have any attractive assets that could facilitate an impactful trade. But the Knicks might offer him the best opportunity. They already have a promising lottery pick in Kevin Knox on the roster and appear to be heading in the right direction. With two max slots available, they can potentially sign a couple of stars to pair with the youngsters. After putting on a season long highlight reel at Duke, Zion playing 41 games at MSG would be thrilling. 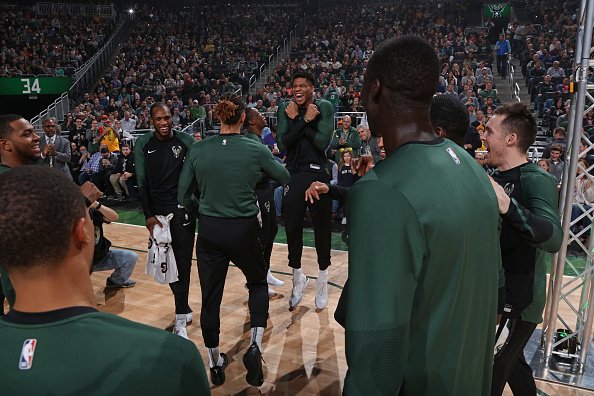 The Milwaukee Bucks are 38-13 and own the best record in the NBA, but most people still seem to think the Boston Celtics or Toronto Raptors will represent the Eastern Conference in the NBA Finals. Are the Bucks the best team in the East? Butler: Right now, the Bucks have the most impressive résumé of all the teams in the East. They have the best record in the NBA, which includes wins in Oakland, Denver, Toronto (twice), Boston, and Houston. Giannis is playing at an MVP level and Mike Budenholzer has unlocked some areas of this team that has legitimized them. They have the only double digit net rating in the League (10.0) and are top-5 in points, field-goal percentage, three-pointers made, and assists. Along with their stellar offense, they lead the League in defense. Their length and athleticism present matchup and schematic nightmares for opposing teams. But with all of that said, I believe that the Celtics will indeed win the East. The Bucks will grab the No. 1 seed and host the first three rounds of the postseason but in the end I think the experience Boston endured last year in addition to having the second best coach in the NBA will propel them past that vaunted Bucks team. Kozai: Milwaukee is the best team right now, and they should be favored in May. However, the gap between them and the other two real Finals contenders—Boston and Toronto—is much smaller than the regular season numbers seem to indicate. The Bucks aren’t as inexperienced as people seem to think and Giannis Antetokounmpo is the best player in the conference. Khris Middleton and Eric Bledsoe, their secondary offensive options, are both playing for contracts, as well as wins. The Bucks have depth and versatility, and they’ve rarely even unleashed Antetokounmpo at the five-spot yet. They’re athletic, have a ton of shooting, are elite defensively, and can win even when Antetokounmpo has an off night. With that said, Boston or Toronto could still become the favorite by April. The Raptors, for all their problems that I wrote about this week, have been injury-plagued all year. They’ve showed for stretches, especially early in the season, that they can be as good as anybody. 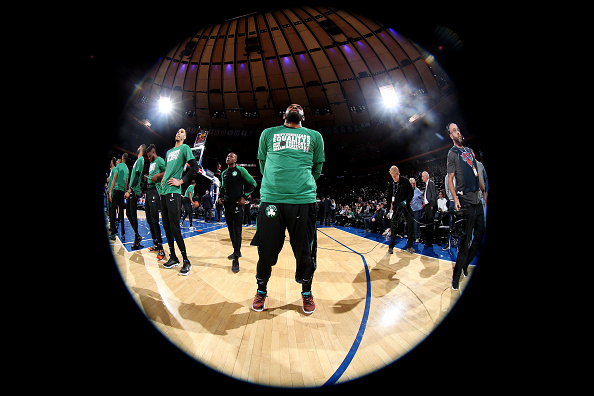 The Celtics are rounding into form and many of their players have proven that they rise to the occasion come playoff time, especially Irving. Neither Toronto nor Boston has played its peak level of basketball, and if they do, they might edge the Bucks. Since they haven’t yet, though, it’s only fair to give Milwaukee its due credit for the time being. Pfeifer: I’m going to answer this question with a tentative yes. 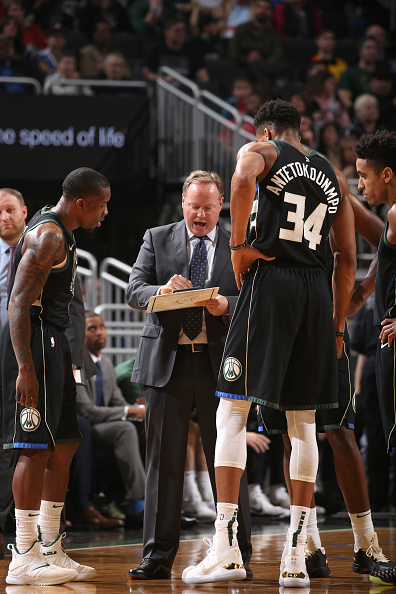 The 2018-19 Bucks provide a prime example of the value of coaching in the NBA. Shackled by Jason Kidd for the last four years, the Bucks are finally unchained, and Mike Budenholzer is the key. Giannis Antetokounmpo is fully unleashed and playing like an MVP. Eric Bledsoe is enjoying the best season of his career (and should be an All-Star over D’Angelo Russell). Brook Lopez has evolved into his final form, a 7-foot, 270-pound version of Klay Thompson. One of the deepest benches in the NBA helps the Bucks wear out opposing teams. They can go 10-deep on any given night and sustain a high quality of play, a feat not many other NBA teams can accomplish. Loaded with star power, excellent coaching and versatile depth, Milwaukee looks like a potential championship team. But there’s a stinging thought in the back of my mind, telling me the Celtics or Raptors are going to be too talented and too experienced for Milwaukee come playoff time. But for now, the Bucks are the new rulers of the East. Simpson: Listen, Listen… I’ve been trying to tell people that the Milwaukee Bucks are for real this season, but everybody just hits me with: “but Giannis can’t shoot.” If I can literally dunk on your whole squad, I don’t give a damn about a jumper. Giannis is literally doing things that I’ve never seen a 6-11 guy be able to do—and he’s only 24. Also, management has done a fabulous job of surrounding Giannis with proven shooters and capable scorers who are more than happy with their role. Plus, the signing of Brook Lopez can’t be understated. Also, the best transaction of the offseason was the Bucks nabbing head coach Budenholzer from the Atlanta Hawks. Buford: Giannis Antetokounmpo is having a season for the ages, and the only reason why he is not the front runner in the MVP races is that of the season James Harden is having. I feel the Celtics are still trying to figure out to play with each other with the additions of Kyrie and Hayward coming back from injury. As of right now. I think they are the best team in the East and they have the best player at this position in the Eastern Conference based on his play thus far this season.